My significant other and I recently purchased a town home in the Issaquah area. We were slightly horrified at the state of the carpet, and had almost immediately decided to remove it all before moving in and replace it with hardwood. Upon discovering the price of hardwood, we decided we would try to salvage what carpet we could. Luckily we know Aaron Duncan of Valley Professional Cleaning Service and he graciously offered to swing by one day after work to give us an estimate. He sold us on Valley Professional Cleaning Service’s effective methods and environmentally friendly and people/pet safe carpet cleaning products, and the results were even better than we thought they would be! The people who occupied our home before us obviously had small children and/or pets, but here wasn’t a single trace of that after the carpets had been cleaned. They looked brand new and feel great! They also took the time to make sure the carpets were dry and ready for us when we came home. What’s even better is that the Valley Professional Cleaning Service employees are honest and full of great information about carpet cleaning techniques and what you should/shouldn’t do in the future.  I will definitely be bringing all my business to Valley Professional Cleaning Service in the future. Thanks guys! ​ Thank you Aaron and Valley Professional Cleaning Service. Our 5 bedroom house that is rented and gets some pretty heavy use during the year. The first year we hired Valley Professional Cleaning Service you told me you could get it all clean and I really had my doubts. I budgeted for new carpet. But much to my surprise and delight the carpet cleaned up like new. Needless to say you are my every year carpet service for as long as I own carpet. The products you use are safe and amazing and you and your people are the most polite and professional I have ever used. ​For more customer testimonials and reviews please visit Snoqualmie Ridge Facebook page.